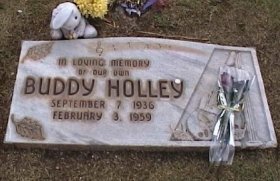 Buddy Holly – Elvis Presley Texas – 1955 Fair Park Coliseum Elvis and Buddy Holly were friends who met often in 1955. Although Elvis Presley’s career developed much faster, the two men were only a year apart in age and came from similar backgrounds and family circumstances. 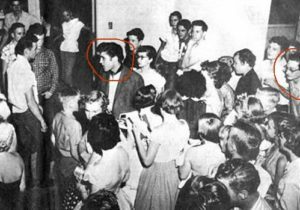 When Elvis performed in Lubbock Texas, Holly’s hometown, in 1955, Holly opened for him and by some accounts stole the show. They hung out together after the show… in other words, they picked up women together. Don McLean’s 1971 ballad “American Pie” was inspired by Holly’s tragic death. 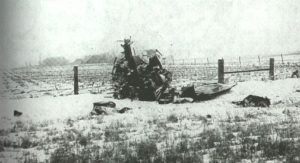 The song’s lyric recalls the incident “The Day the Music Died” became popularly associated with the crash.